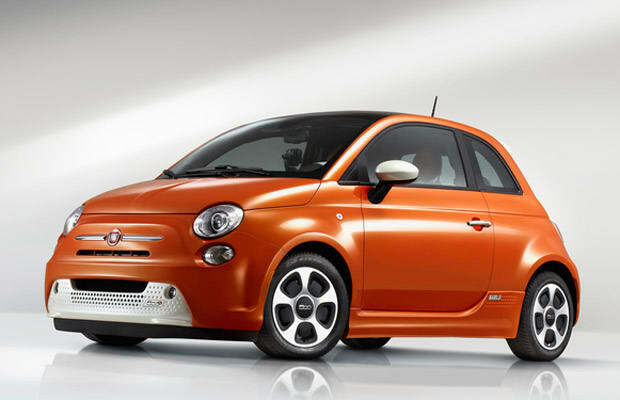 Fiat CEO: "Don't Buy a Fiat 500e"
Usually when you run a multinational car firm, you tend to want people to buy your cars. That’s not the case for Fiat CEO Sergio Marchionne. The automaker’s head honcho recently told press conference attendees that he hopes car shoppers avoid buying the California-only Fiat 500e electric vehicle. The 500e retails for $32,650 (before government incentives), which is twice the cost of a base model Fiat 500 Pop. The steep price tag comes courtesy of the vehicle’s high cost of development and compliance with California’s Zero-Emissions Vehicle mandate. This makes it hard for Fiat to clear its profit margins on the reworked 500, whereas Tesla can recoup its high EV development costs by slinging a more luxury product.